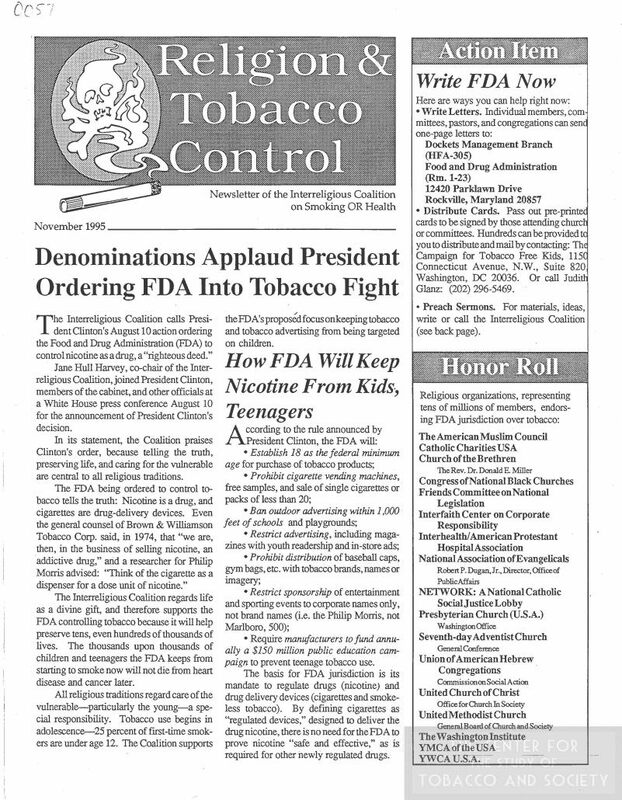 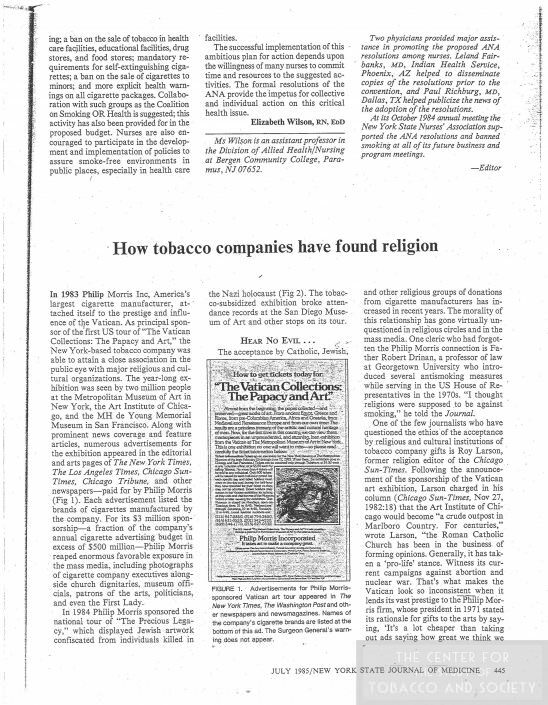 Items in this collection deal with various religious organizations and their perspectives and policies on tobacco use, tobacco control, and the tobacco industry. 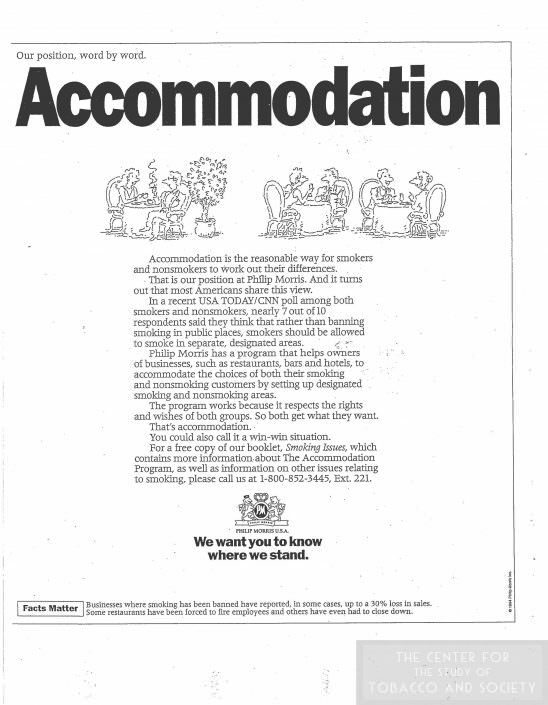 The types of material in the collection include advertisements, articles, correspondence, newsletters, notes, pamphlets, photos, and press releases. 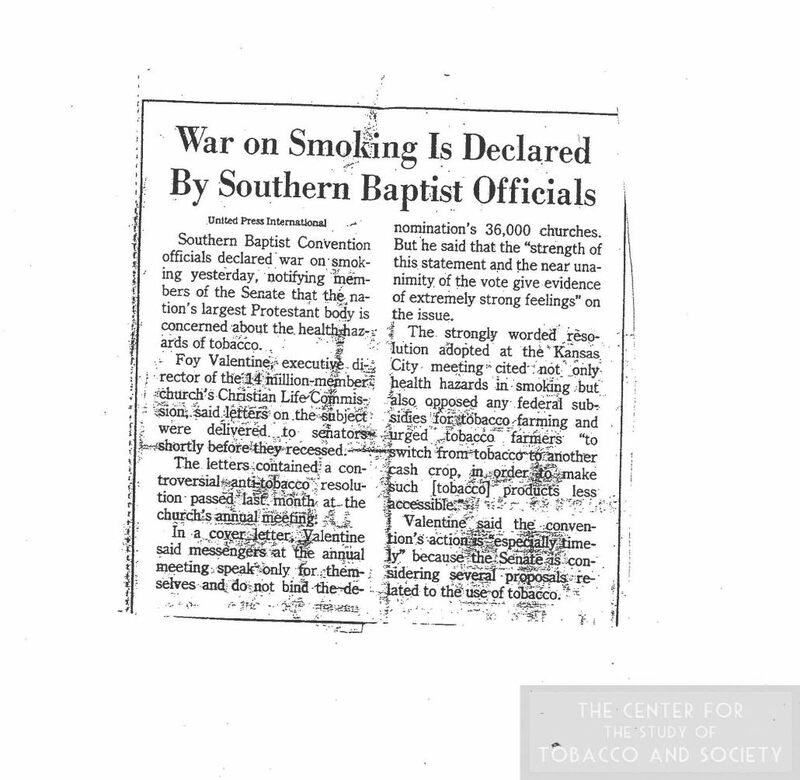 The earliest dated item in the collection is from 1963 and the most recent is dated 2011. However, the majority of the items are dated from the mid- to late 1990s. 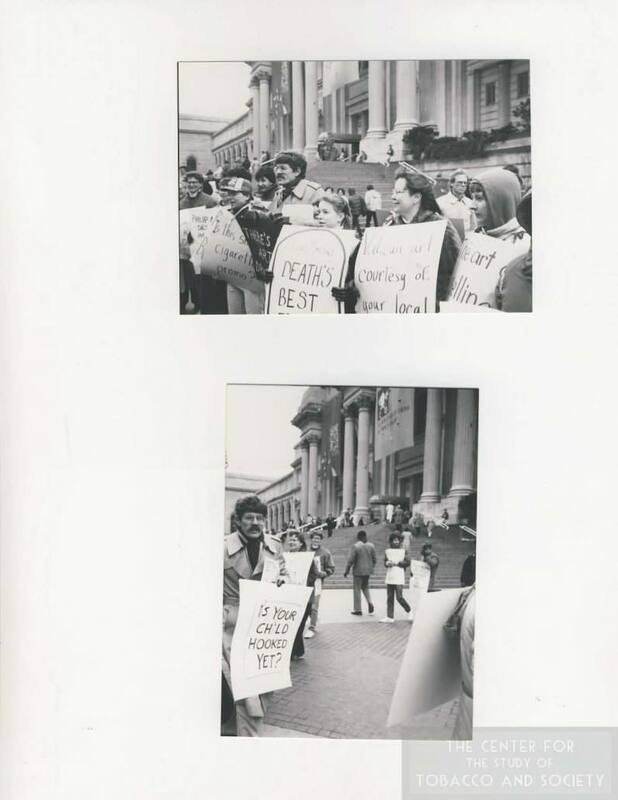 Much of the correspondence was written by or addressed to Dr. Alan Blum, who is also featured in the photos included in this collection. 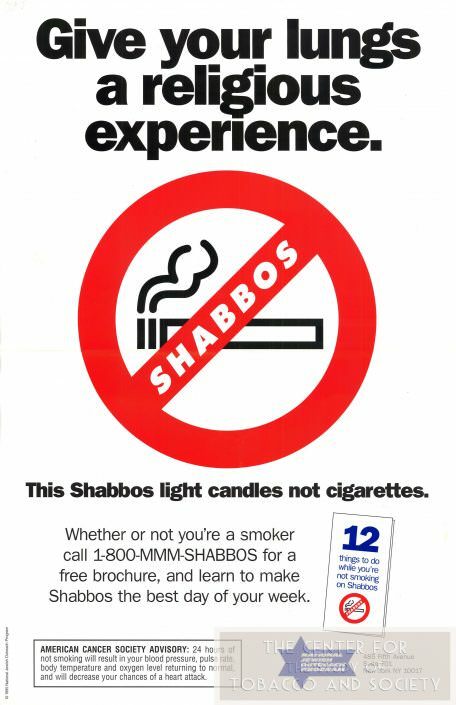 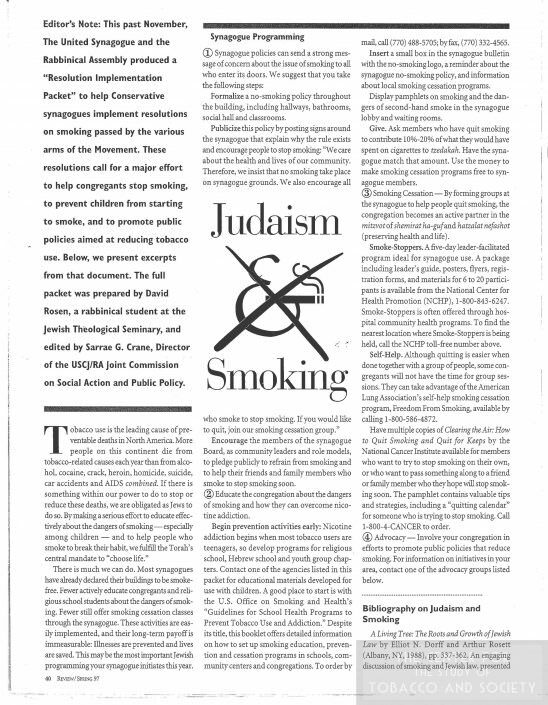 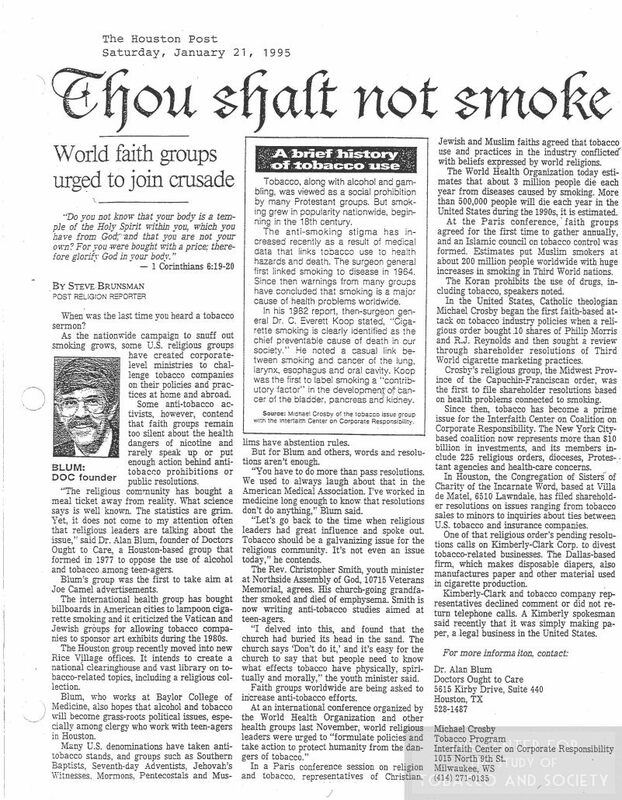 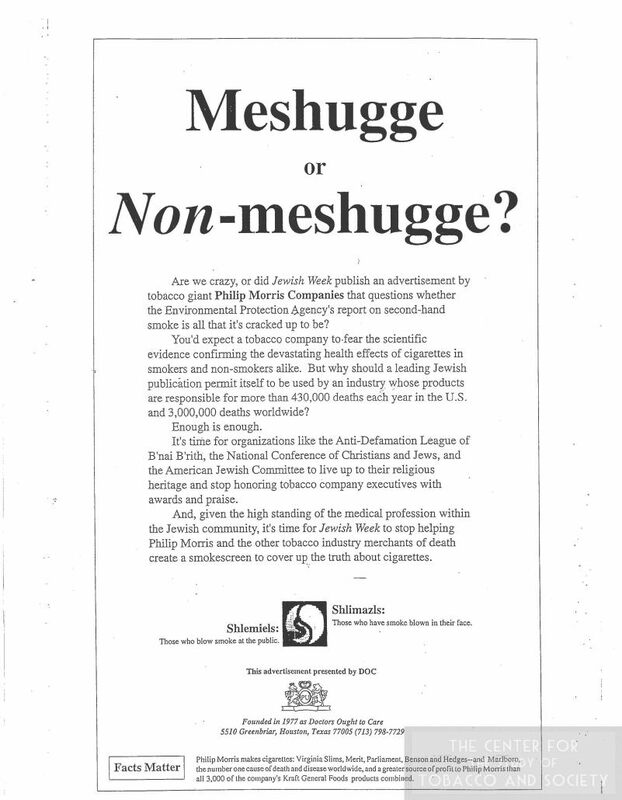 The organizations that are featured with prevalence in this collection are: the Anti-Defamation League of B’ani B’rith, the Everett Foundation, the Interreligious Coalition on Smoking, the Jewish Welfare Board, the National Jewish Outreach Program, New Jersey GASP, the Tisch Cancer Institute, and United Synagogue.